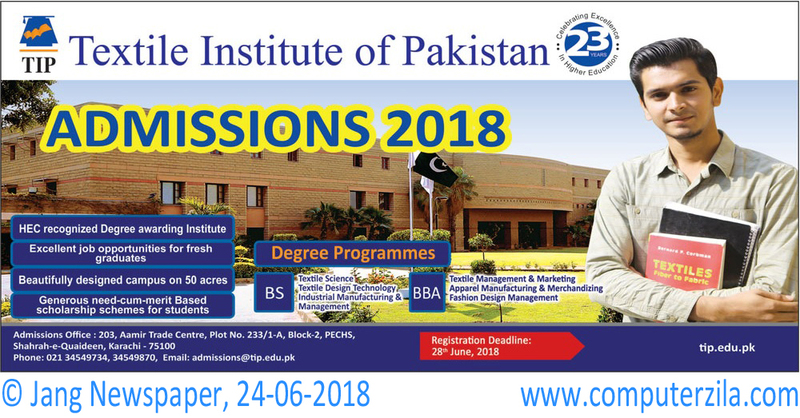 Admissions Open at Textile Institute of Pakistan's Karachi Campus for the batch Fall 2018. 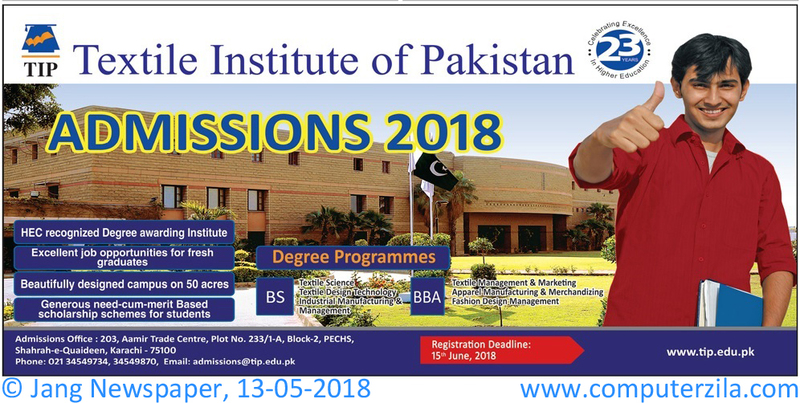 TIP offers admissions in different fields of study for Bachelors. you can apply for BS - Bachelor of Science, and BBA - Bachelor of Business Administration, , . University Address 203, Aamir Trade Center, Plot No.233/1-A, Block 2, PECHS, Shahrah-e-Quaideen, Karachi - 75100.